I recently bought a 1976 Chrysler Dagger 14 a fun little boat to learn how to sail on. I was on a pretty limited budget and this boat was about as cheap as they come – $100. You can read the first two posts on this project by clicking Restoring a Chrysler Dagger 14 and Cleaning the Hull. Of course there was a reason the boat was so cheap, it was missing three key elements: the centerboard, the rudder and the main sail. Minor problems, right? We are in the process of making our own centerboard after getting the dimensions from a guy online. A future post on that part of the project is in the works. 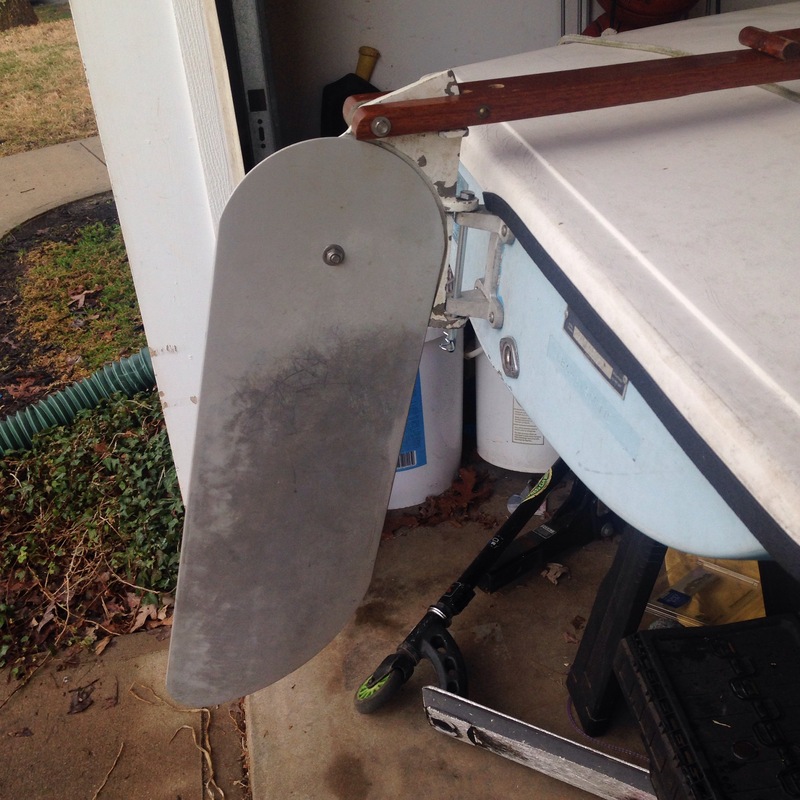 After searching online, I found a guy selling a rudder and sail from a Jetwind boat made by Sears and he lived just 20 minutes from my house. The sail wouldn’t work but the rudder bracket actually matched up. The blade on the rudder is about 6 inches shorter than the original for my boat but the hardware and the tiller handle were exactly what I needed. Since there is not much of a market for Jetwind parts I got it all for just $40. I gave the sail to a buddy who has a Sunfish to see if he could use it. 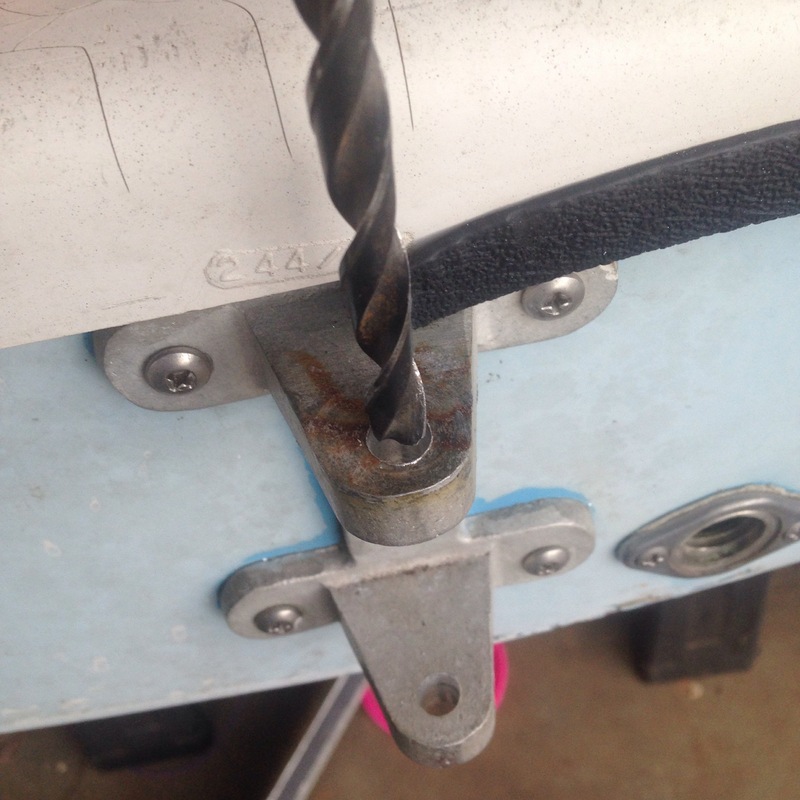 The hole on the rudder bracket was 5/16 so I drilled out the bracket on the boat to match. 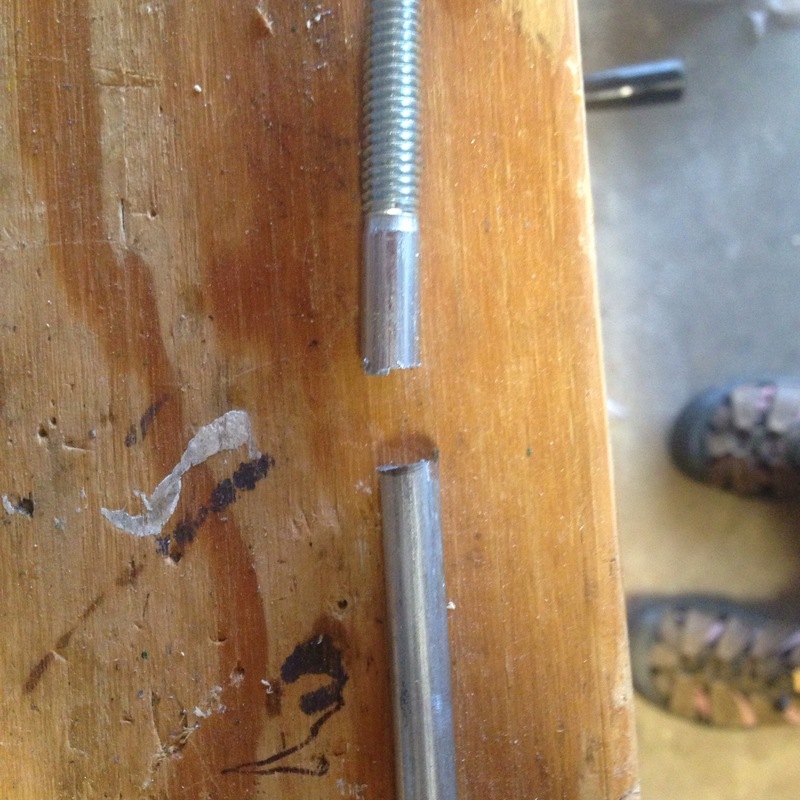 I bought a 8 inch lag bolt and cut off the threads, leaving myself enough space to taper the end and drill a hole for the pin. I wanted to use stainless steel for this but the store I went to didn’t have anything that long. So I will just keep an eye on it over the season and replace it if it gets rusty since it only cost me $.91. 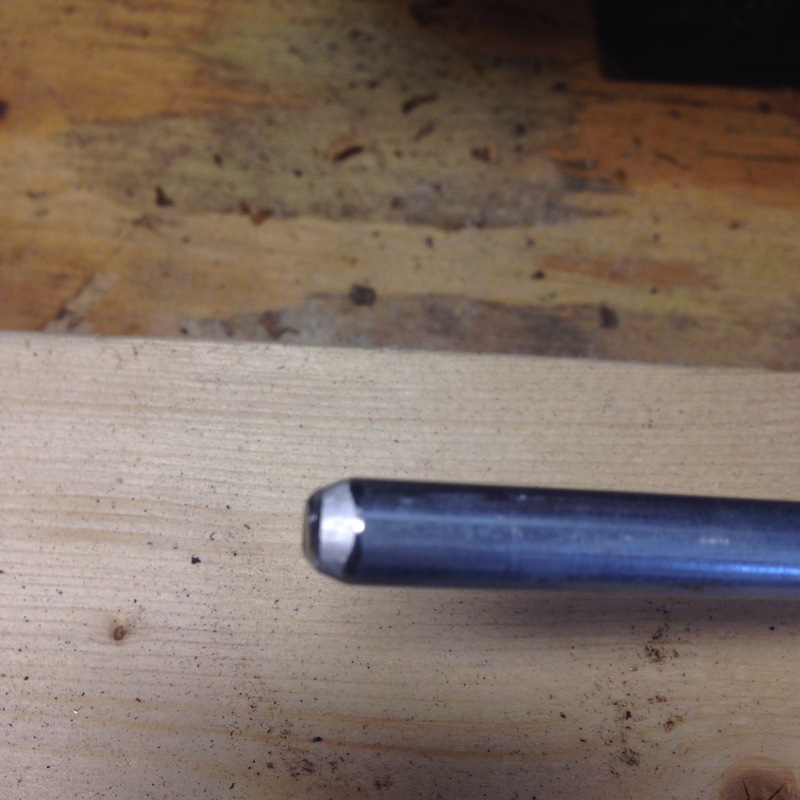 I used a bench grinder to taper the end and smooth out any rough spots. This will help it slide through the brackets more easily. 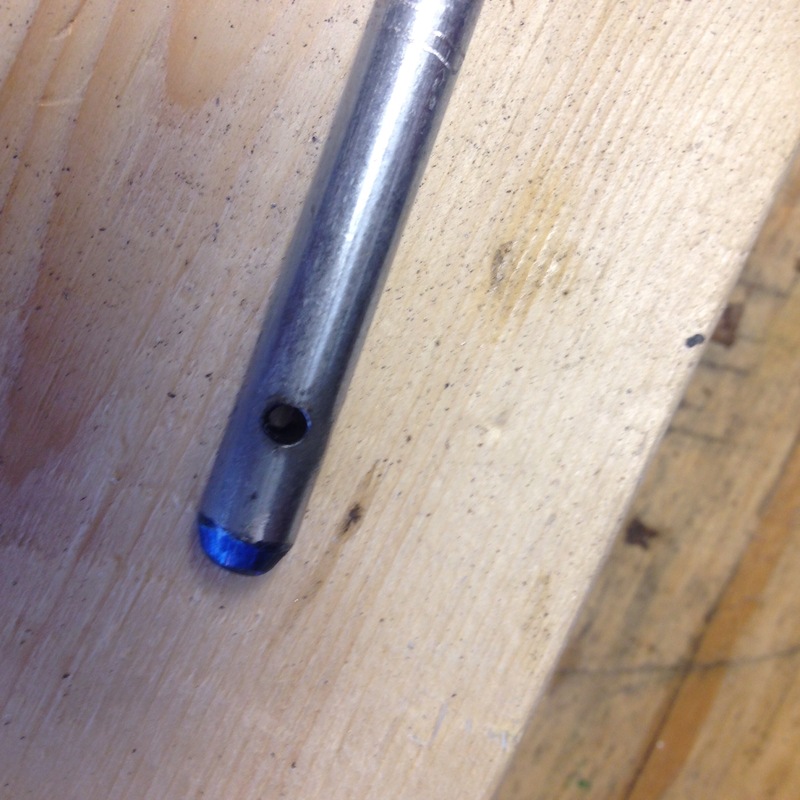 I used my drill press to drill a hole through the bolt that the pin will go through to keep it from falling out. Again I used the grinder to smooth out where the drill bit came through and installed it to see how it works. Everything lined up great and the rudder is balanced and swings easily. 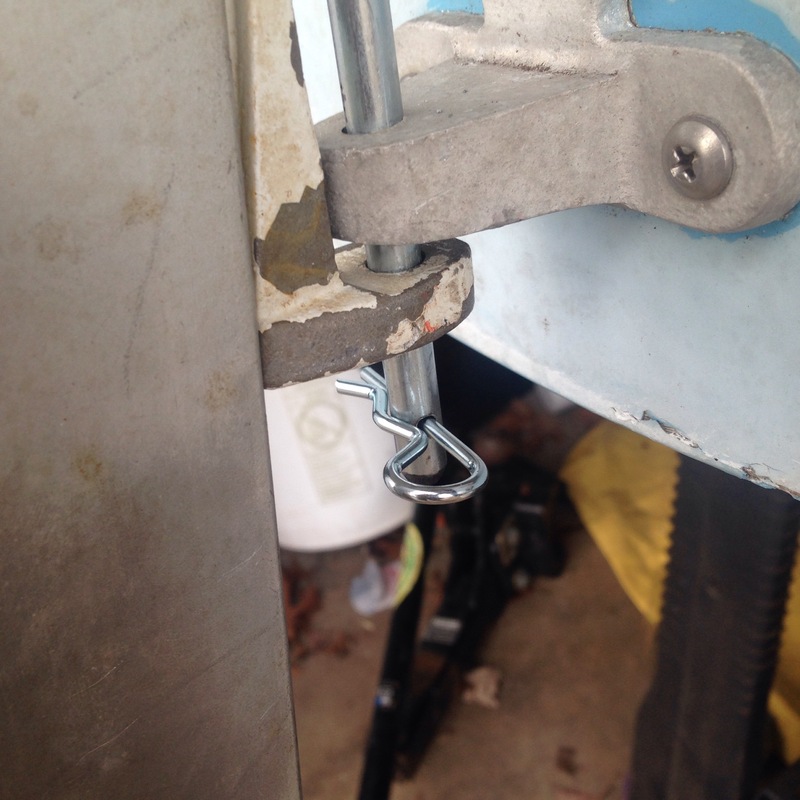 I will need to add a spacer to the tiller handle so it doesn’t rub the deck of the boat. I have some mahogany to do this with so it shouldn’t be a problem. I have decided to try the rudder out before making any major changes to it. If I find that the rudder isn’t giving me the performance it should, I will replace the blade with a longer one made of wood.